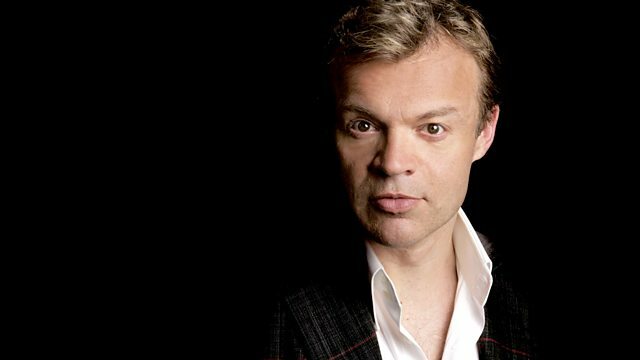 Mark Lawson talks to celebrity interviewer and chat show host Graham Norton about growing up in Ireland, his sexuality and a near fatal mugging whilst he was at drama school. Mark Lawson turns the tables on celebrity interviewer and chat show host Graham Norton and discusses seminal moments from his life and career. From his southern Irish Protestant beginnings, Lawson explores what drove Norton to become one of the biggest names in light entertainment, via a brief stint as an actor and an even briefer stint as a failed rent boy. In this frank and funny interview he discusses growing up in Ireland, his sexuality and a near fatal mugging whilst he was at drama school. 'I started finding my life engaging when I was about 16, when I started having experiences outside of Ireland, that's when I sort of came alive.' Norton's journey out of Ireland first took him to live in a hippy commune in San Francisco before he returned to study acting. One of his earliest roles was in Puss in Boots in Harrogate, an experience which made him realise that a life on the boards was not for him. His TV breakthrough came in 1997 when he filled in as the main presenter for Channel 5's Not the Jack Docherty Show, which led to a best newcomer gong at the British Comedy Awards. In 1998 he was given his own hit show on Channel 4 and in 2005 he transferred to the BBC, where he continues to thrill Friday night audiences with his unique blend of celebrity guests, tongue-in-cheek humour and audience participation. The broadcaster interviews himself about the art of the celebrity interview.